Millrock Technology has pioneered the use of heat flux sensors to measure and control the heat transfer dynamics of the freeze drying process. 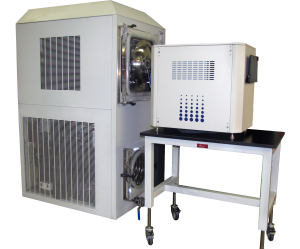 This unique technology provides measurement of the Critical Process Parameters in all stages of the freeze drying process, including freezing, primary drying and secondary drying. 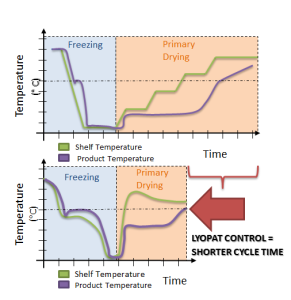 LyoPAT enables the user to analyze, improve and optimize their freeze drying processes in the lab and easily transfer the protocols to production. 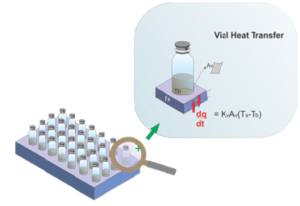 LyoPAT provides direct measurement of vial thermal conductivity (Kv) and heat transfer parameters (heat flux, mass flow, product temperature, cake resistance, etc.). LyoPAT control software enables existing protocols to be run for analysis or fully optimized by selecting a combination of control parameters. LyoPAT gives the user access to information that did not exist before. This information enhances the development capabilities of your freeze dryer and provides alternatives for scalability as well as quality control. Millrock’s AccuFlux® and Auto-Dry™ technologies, in conjunction with Millrock’s FreezeBooster® Controlled Nucleation Technology, offers a multivariate data acquisition and data analysis platform. Combined, these technologies are called LyoPAT®.